As a user experience designer, in the back of my mind I am always critiquing and improving experiences that happen to me in my life. 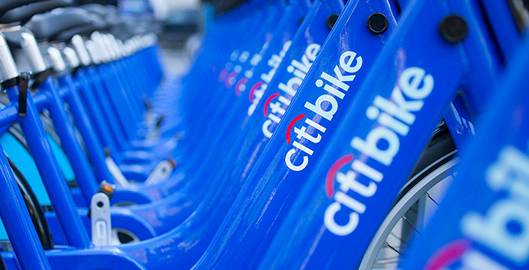 Here are some insights I had while trying out CitiBike. On Sunday, my cousin was visiting from London and we wanted to make a full day in New York City. So we met at 7:45 am and got CitiBikes near Wall Street. Overall, it was a fantastic experience. We rode the CitiBikes from Wall Street to 84th Street where we discovered the beautiful world of Riverside Park and found out where the Boat Basin Cafe is. We then headed back down the 59th Street where we thought we’d get a mimosa at the Plaza Hotel, because what else do you do at 10:30am on a Sunday morning in Midtown? As we learned, there’s a law in New York City that you can’t serve alcohol on a Sunday before 12pm. Who knew?! This may have been the biggest lesson of the day. I am not sure how this is new information after living in New York City for nearly 7 years. But, it is fact my friends. We slowly made our way down the the Lower East Side and had brunch at Freeman’s where we met friends. Then, we got new bikes and headed over the Manhattan Bridge to Dumbo where we rode the carousel and had drinks on the waterfront. With that out of the way, back to the bikes. Our strategy was to get a 24 hour pass and then check the bikes back in every 30 minutes to avoid the overage charges. That’s much easier said than done because we went over our 30 minute allotments not once, but twice! A big problem that we encountered was the removing and returning of the bikes into the docking station. The bikes are very, very heavy. It takes a lot of strength to pull it out of the docking station. We had to use so much strength to remove the bikes from the docking station that the pedals on the bikes ended up bruising our shins as we hurled the bikes backwards towards us. It was less dangerous to put the bikes back in the docking station. However, it was unclear if the bikes were actually confirmed as returned. Supposedly, if the bikes are confirmed as locked, the lights on the docking station turn from yellow to green. However, we encountered the lights turning from yellow to red sometimes. This required us to take our phones out and call the CitiBike help line to ensure that we were not going to be charged for unreturned bikes. Another challenge was the weight of the bikes. As I mentioned before, the bikes are very heavy. They were hard to maneuver around the docking stations and around corners and small spaces. The bikes are fairly comfortable. However, twice I ended up with a bike that had a seat that would not stay in the correct height position and I ended up needing to swap it out for another bike. I also found that it was not very intuitive on how to change the gear of the bikes. On the right handle bar, there are numbers “1, 2, 3” and I thought that was the gears. But, I kept looking at it and could not figure out how to change the gear. 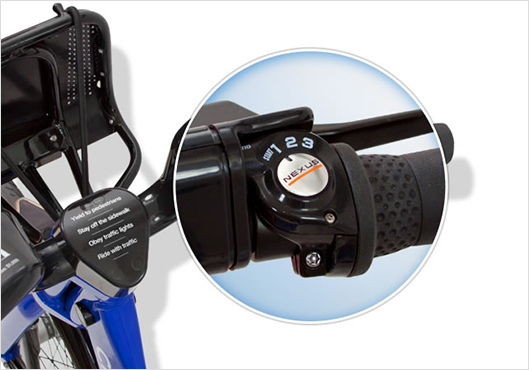 Finally, my friend pointed out this little black rubber part of the handle bar that you turn to change the gear. Given that it was the same color as the handle bar and break, I didn’t realize it was the method to change the gears. Perhaps I was over thinking it, but this caused me to be in the hardest gear for over an hour! One thing I really found useful was the basket in the front. I’ve seen people cycling with their purses and briefcases in the basket and always wondered how they stayed in place. On my CitiBike adventure, I learned that there’s a bungee cord type device that goes over the basket to hold your items in place. It was my first time using a CitiBike because I’ve been scared to do it. Early on a Sunday morning was the perfect time to give it a try. There was little traffic and not many other cyclists to deal with. The only people out where the groups of professionals who zoomed by us without any issue. Something about being on a bike turned us into kids all day long. Maybe it was all the fresh fall air. But, it turns out that there is research into the psychological benefits of cycling. In the article The Cycle Path To Happiness, author Simon Usborne writes about how doctors at the Cleveland Clinic and Harvard have cited cycling in studies about Parkinson’s, depression, and ADHD. Would I use a CitiBike again? Absolutely. However, I really do need to find a helmet solution. I have big curly hair so a regular helmet could result in a pretty bad hair day. I really want an Invisible Helmet, but at 400 Euros, it’s a bit out of my price range. Does your city or town have a bike sharing program? Or, do you regularly bike to work and can share more insight into the psychological benefits of cycling? I’d love to hear your stories.